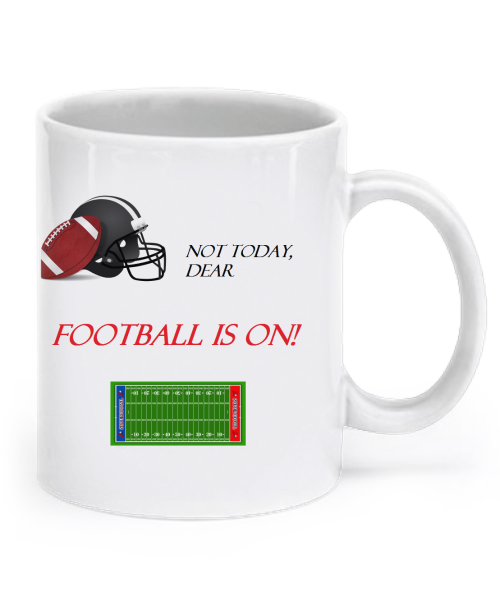 Get this one and only football mug for that special diehard fan in your life. Makes a great gift for husbands, boyfriends, dads, grandads, or anyone who loves football. You won't find this mug anywhere else! Get it today and get FREE Shipping! Hurry! Limited time offer. Enjoy Free Shipping through October 4, 2015!